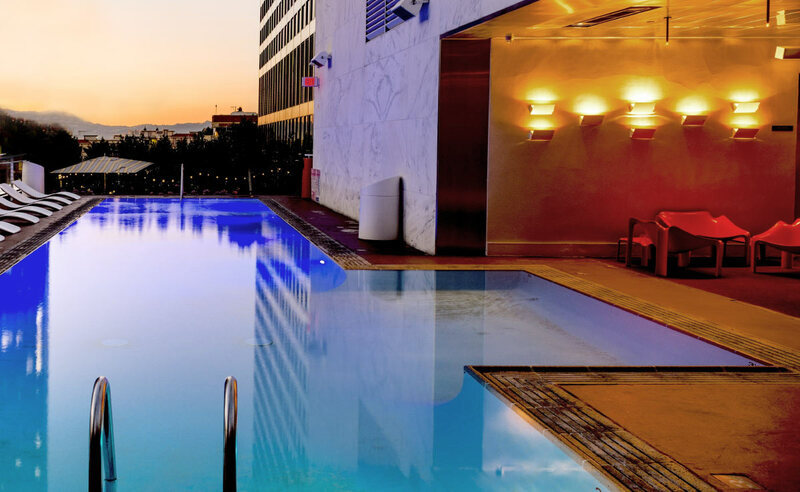 Pool Covers | Know Your Options Before Paying - Pool Daddy Pool Service, Maintenance, and Repair in Phoenix and Scottsdale, AZ. 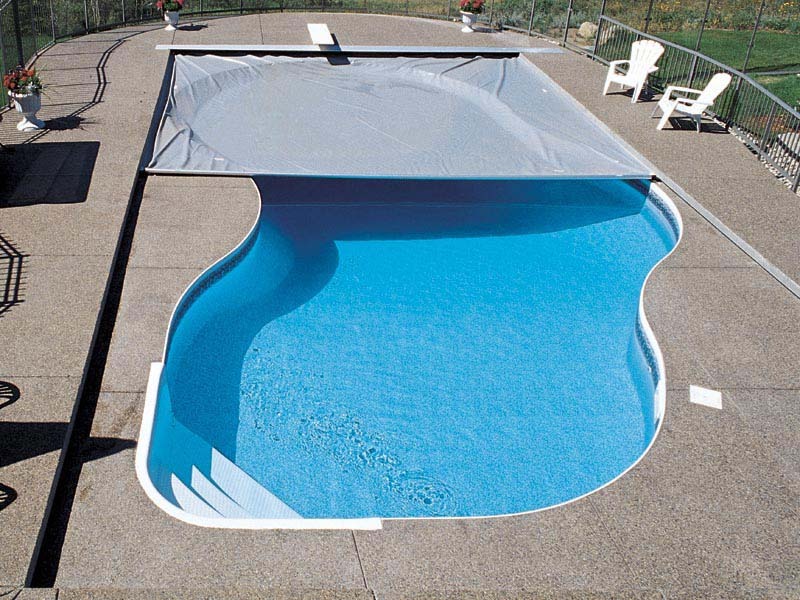 Besides that they are a safe way to keep your pools if you are not using it for a long period of time, Pool Covers can serve you in so many ways. You may have one of such uses for pool covers . Now you want to buy one, which will you get? Making a smart choice about this can be hard if you don’t know about your options. 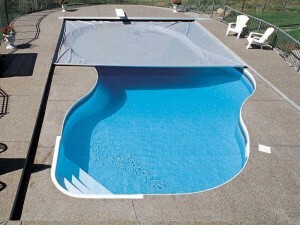 These pool covers are made from a woven mesh material and are stretched tautly over the pool, resembling a trampoline. Springs and anchors embedded within the pool deck are used to hold the cover in place. While it may resemble a trampoline, it is still not recommended to jump on it, though the risk of injury or drowning is drastically decreased. Rainwater and melted snow can get into the pool, reducing the need for regular maintenance of the cover as seen in the basic plastic and once it is time to re-open the pool, there is less of a need to pump water back into the pool (though treatment chemicals may need to be added for the new water once opening the pool). These pool covers may cost exponentially more than the cheaper alternatives but it is the most impressive and it’s easier to close and open the pool year after year. Sides of a solid vinyl cover are attached to tracks along the side of the pool and an electric motor turns a pulley to draw the cover along the water’s surface. It is supported along the sides, allowing increased safety and it is said they can hold just over the weight of two average adults. 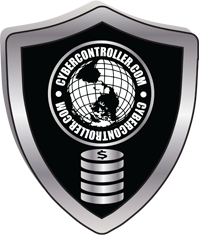 Some compare it to a water bed since you can safely sit, walk, or stand on the surface. It is not recommended to do so, but it beats drowning. 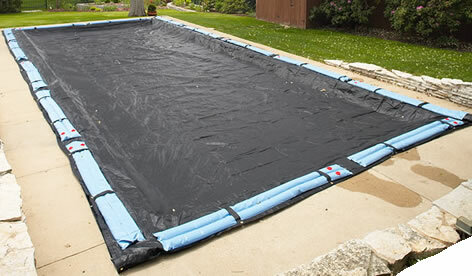 These pool covers are mainly used for Jacuzzis and hot tubs , especially of the above-ground variety. 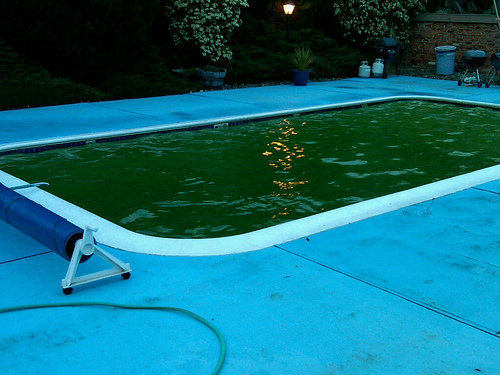 They usually come with the above-ground Jacuzzi but should still be checked regularly for rips, tears, mold, and more. These are the least expensive options, but due to the low cost, they can also become very high maintenance. Not only are these thinner than other options, but they can become torn easier. And they need more maintenance throughout the use. Once installed, they may become weighed down by leaves, debris, rain, and snow. This can cause the cover to end up under the pool waterline quickly. They are kept in place (to a point) with water-filled plastic bags to keep the cover from blowing away in wind. However, this does promote the sinking problem previously mentioned. If someone walks onto this cover there is a high risk of drowning or other injuries. But it can be easily avoided if the area is fenced off or not used outside of pool use. 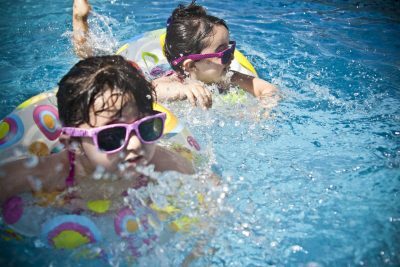 These are a great option for those on a budget or those looking to only close the pool for a short time.